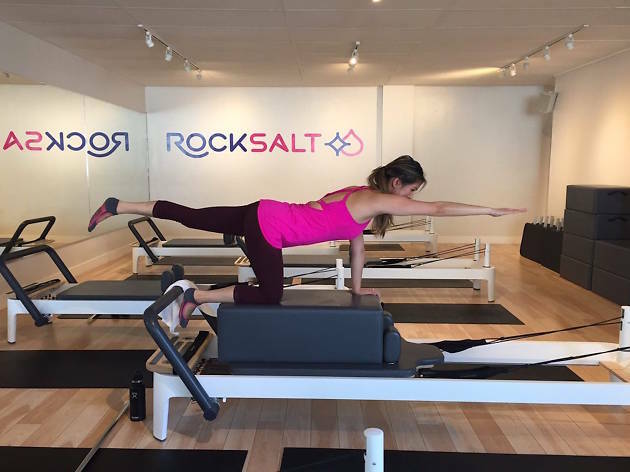 South Bay reformer spot RockSalt might seem like a sweet suburban studio (with parking! ), but the coursework contains more weighted squats and lunges than any other Pilates studio in the Bay Area. 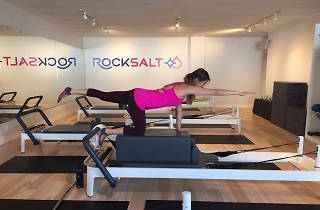 Just three classes are offered—Sweat, Strength, and Stretch—and at just 50 minutes each, the creative combinations of movements will leave your glutes torched and your arms shaking.